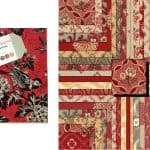 This collection was inspired by an old brick chateau 3 Sisters stayed in one summer in a small town, just north of Aix-en-Provence, called St. Remy…. 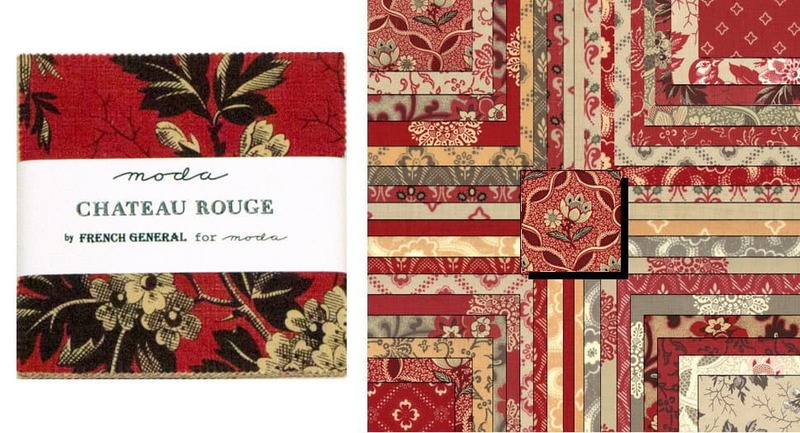 Chateau Rouge 5″ Charm Pack by French General for Moda fabrics. Fabric is all new, 100% premium quality Moda cotton. See photos of entire fabric collection above. More in this collection available in our store while supplies last. Use store search engine to find. 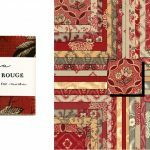 Collection Description: The Chateau Rouge collection was inspired by an old brick chateau we stayed in one summer in a small town, just north of Aix-en-Provence, called St. Remy. The chateau was built in 1789 and throughout the house were armoires that were brimming with old French textiles. I spent days looking through each of the armoires and sketching ideas and color combinations. Outside each window was a field of sunflowers – their brightness seemed to light up the house. The subtle mustard yellows mixed with the old reds – reminds me of the colors at the chateau and my summer in France.